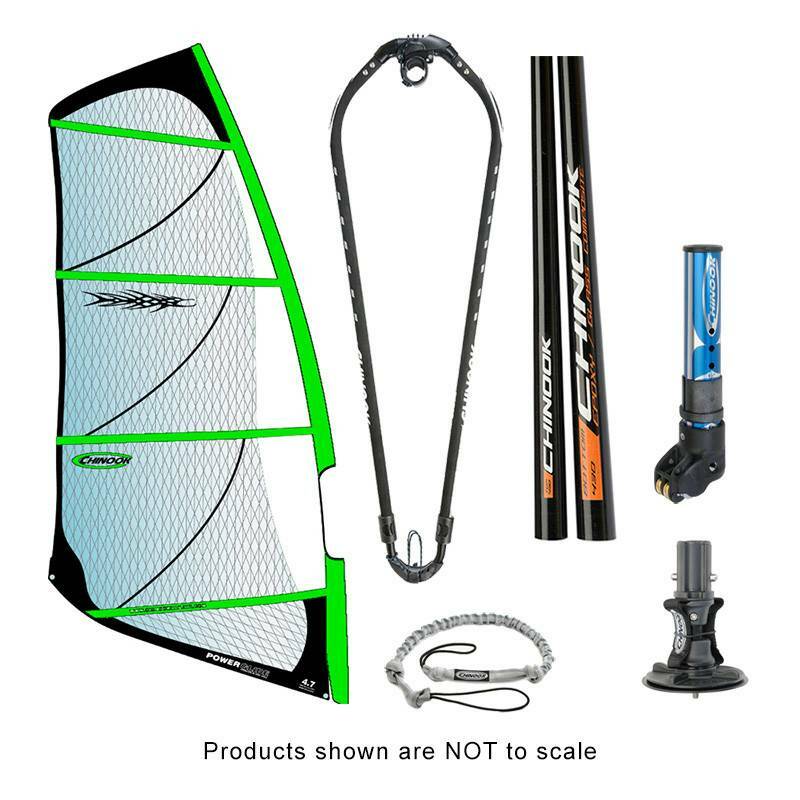 Power Glide Rig Pack w/ Epoxy Fiberglass Standard Diameter Mast - Performance, durability, and light-weight built into one sail. Majority of X-ply material combined with Dacron is very light yet extremely durable. Endo-batten seam shaping helps to create a powerful sail that is tunable with screw-adjusting batten tensioners. 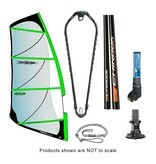 Comes with Ezzy built sail, 2-piece epoxy mast, Sport Boom, 1-Bolt Tendon Mast Base, Alloy Extension, and Uphaul. 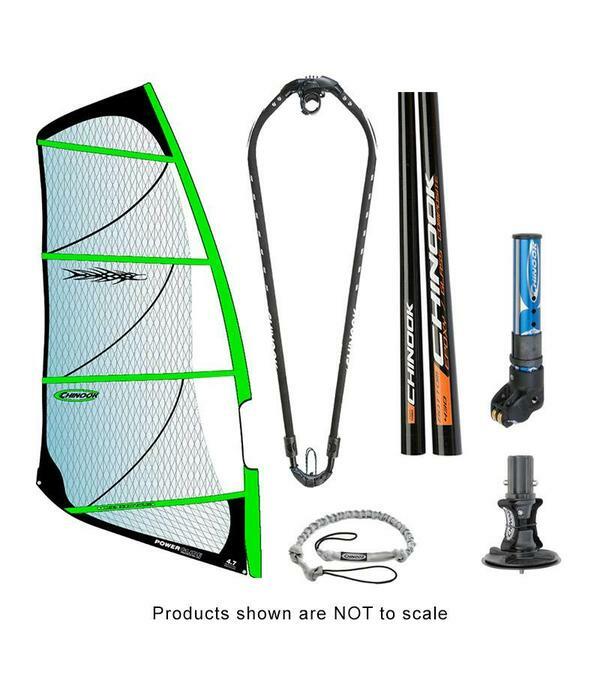 Designed for demanding recreational sailors. 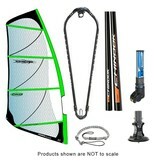 Current available color pattern is Fluorescent Green/Black/White. Colors may vary 3.0, 3.5, 4.0, 4.7, 5.5, 6.5, 7.5 **This item qualifies for oversize shipping charges.